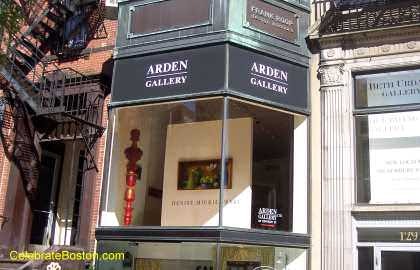 Arden Gallery is a contemporary art gallery located on Newbury Street. They feature many paintings and works of art. Bronze sculptures and designs in other metals are also offered.